Madonna: The Beastie Boys were one of a kind! Adam Yauch, a founding member of the pioneering hip-hop group the Beastie Boys, has died at the age of 47. Yauch, also known as MCA, had been in treatment for cancer since 2009. He was diagnosed in 2009 after discovering a tumor in his salivary gland. The Beastie Boys were one of a kind! They were all an important part of my musical history and integral to the musical revolution that was happening at the time. I’m very sad to hear about Adam’s passing. 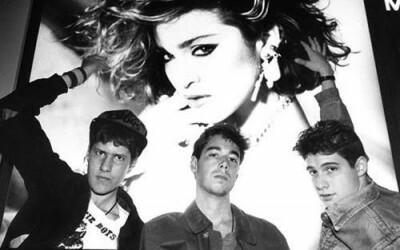 Back in 1985, the Beastie Boys were the opening act of Madonna’s The Virgin Tour.